Thousand Pillar Temple in Hanumakonda, Warangal is one of the World Heritage Sites. 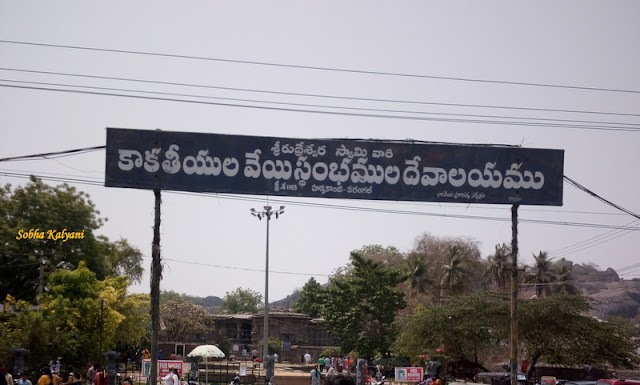 The temple is close to the famous Bhadrakali temple in Warangal. 1000 pillar temple is known as 'Veyyistambhala Gudi' in Telugu language. 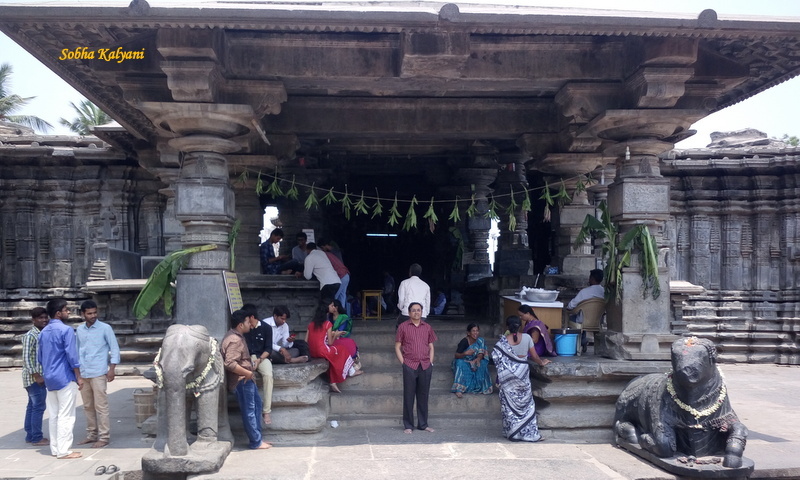 This is an ancient temple with historical importance that dates back to the Chalukya period. 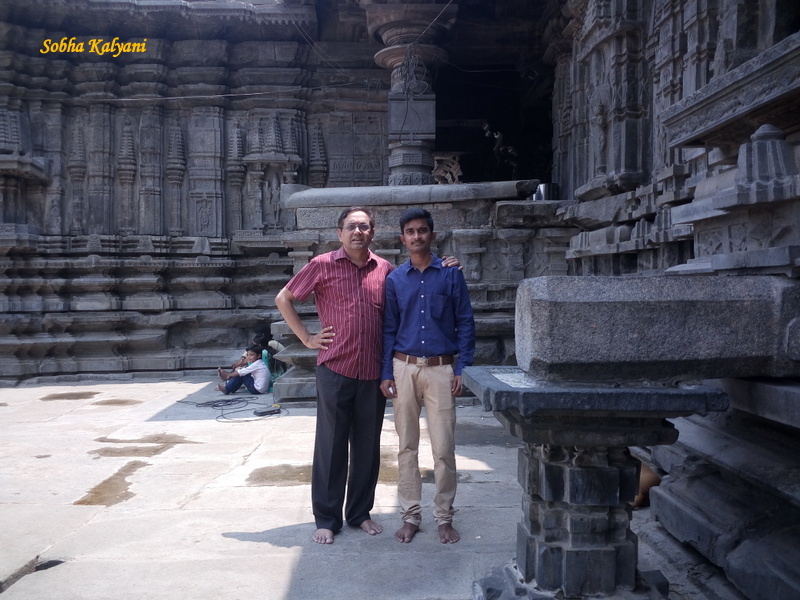 1000 pillar temple is one of the topmost tourist attractions of Telangana. The temple is in the tentative list of UNESCO's World Heritage Sites along with other two sites of the place i.e Warangal Fort and Ramappa Temple, which are of historical importance. 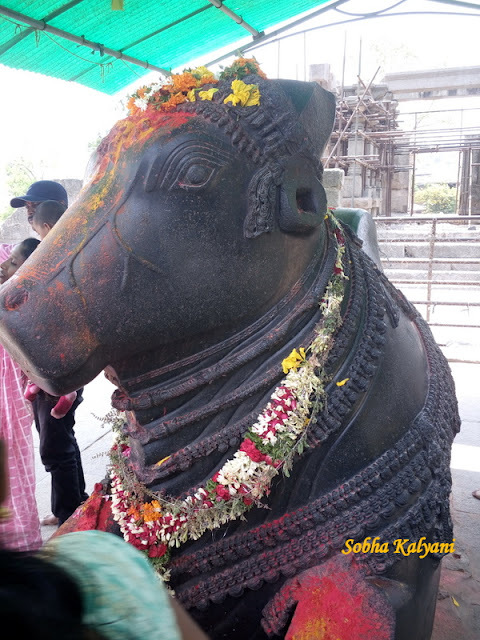 The temple stands as an architectural excellence of the Kakatiya rule. It is the masterpiece of architectural skills of the Kakatiya period and depicts the Chalukyan style of architecture. 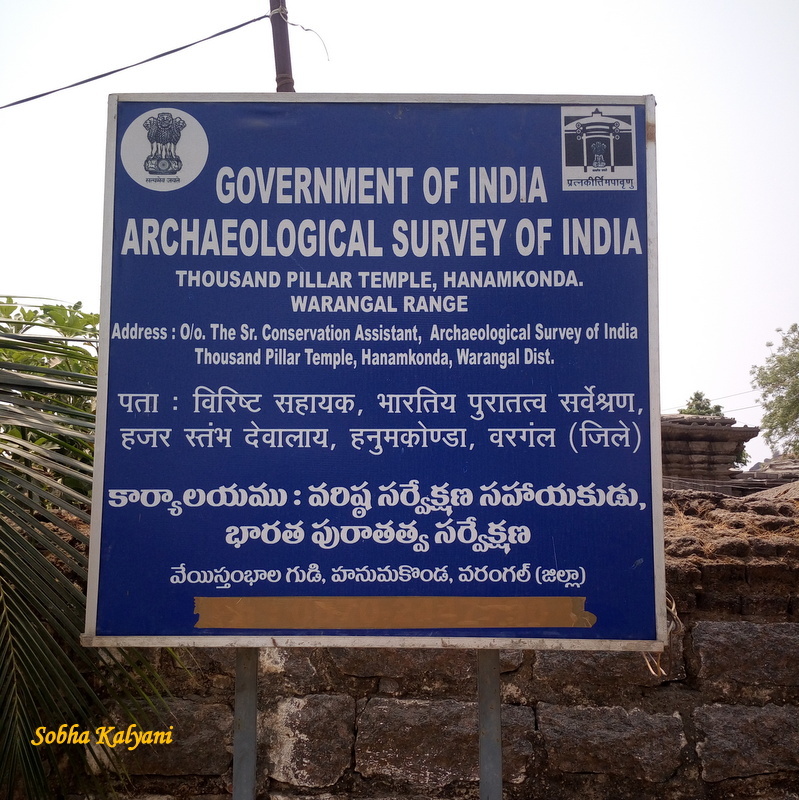 The temple was constructed in the 12th century C.E (Current Era) by King Rudra Deva. There are three shrines dedicated to Lord Shiva, Lord Vishnu and Surya Deva, inside the temple. However, the main deity of the temple is Sri Rudreswara Swamy which is one of the names of Lord Shiva. There is a huge monolithic statue of Nandi - the Divine Bull which is made of black basalt rock. This is the 'vahanam' i.e the divine vehicle of Lord Shiva. This is one of the main attractions of the temple where tourists take clicks. The temple stands on a one metre high platform and is built in a star shape. The temple is supported by finely carved stone pillars. Hence the name 1000 pillar temple. The architectural expertise of the period is simply marvelous. There are even finely carved sculptures on the temple walls. The architectural wonder of the temple is worth appreciate as in spite of the scorching heat outside during severe summer, it's literally very cool inside the temple without any air conditioners or air coolers. Hats off to the engineering excellence of the craftsmen of the ancient times and the techniques adopted those days to stay with no ACs and air coolers. How nice it would be if those age old engineering techniques are adopted in the present days construction works, so that there could be much of energy saving and less of environmental pollution. In addition to the architectural marvel, the ancient star shaped temple stands a testimony of time. The temple is easily reachable as it is located in the heart of the city. It remains open for the tourists from 5 a.m to 9 p.m on all the 7 days of the week. The govt of Telangana along with the Tourism Dept and taking all necessary steps to preserve the ancient architecture excellence of the Kakatiya period. There is also much of shopping around the temple where tourists can get antique collections and divine materials. A visit to this wonderful temple would give visitors an opportunity to peep into the history and the rich cultural heritage. A great experience to cherish.